With a quarter of the season past us, we should be past figuring out what works and what might not. Regretfully, injuries and continuing to grow into schemes make this game another lets see what works game. 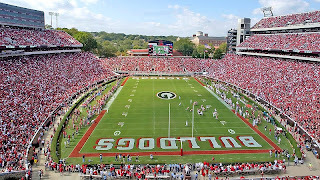 Can the Georgia team that showed up last week and against South Carolina (minus the freebie points) do so for a third consecutive week? Last year, Georgia only put together one back to back strong performance (Tennessee and Vandy). Coming out and playing passionate, businesslike football against an Ole Miss team that has a lot of pride to reclaim, but a long way to go on the talent side of the ledger, results in a big win. Ole Miss is better than the manhood robbing 23 point loss to Vandy showed. They aren't good enough to win without Georgia helping them out. A lot. Does Mason get in the game anytime other than late in mop up duty? I am not sure if the Mason nugget was coach speak or a shot across Murray's bow. For my money, I say it is coach speak, but if we see #14 come out early in the game or with the game still in doubt, well, we have a genuine QB controversy on our hands. Here's hoping if Mason comes in with that situation, Murray handles it well. Do we finally acknowledge that we have to be a bit more innovative to give the QB time to run the offense since, you know, we are almost down to playing recruits on the offensive line? We implemented a shotgun spread formation to move the ball around quickly and to give the QB options quickly. I take that back...teams normally implement the shotgun spread for that reason. We implemented it to run the quick draw with one less blocker on the line. We've done very well moving the ball from the traditional two back set. IF we go to shotgun spread more, here's hoping it is for a bait of TE and RB screens, coupled with rolling the QB out to find Mitchell going long. Hey, we should win the game. However, this has the makings of a Colorado type game. That turned out so well. 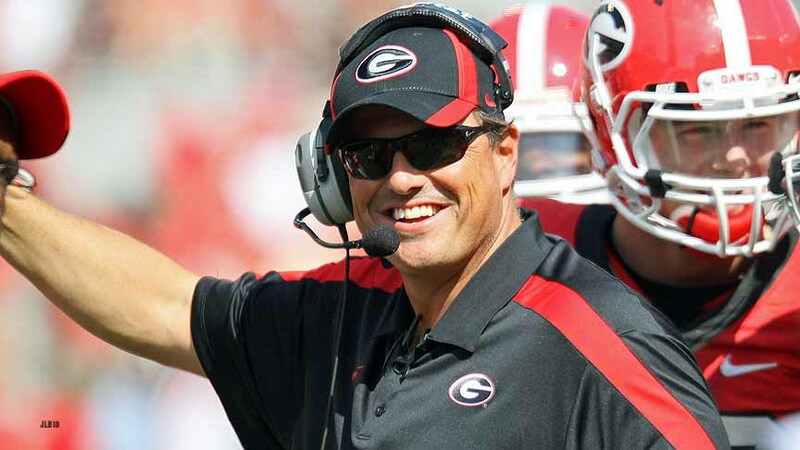 Hopefully, we'll see Grantham smiling more than grimacing. I think that may be the only picture I've ever seen of Grantham smiling. Ditto on the lack of back to back good efforts. I would like to see that most of all. No more playing down to the level of our opponenet and then giving away the game because we played too close. Ginny, that is why I had to use it. I don't think I'd ever seen him with one.